We are recognized as Auckland carpet cleaning industry leaders providing carpet cleaning since 1987. Therefore, we set much of the industry standards here in Auckland. Providing our clients with the highest world standards of carpet and Upholstery Cleaning. and, also, meth P cleaning for most Insurance Companies and Real Estate Clientele. Including Barfoot & Thompson, Allen Reality, Ray White, Fletcher, Tyco, and much more. Auckland Steam ‘n’ Dry use modern, hi-tech powerful truck mounted units. So, the latest available in the world. These large truck mounts were as developed by Auckland Steam ‘n’ Dry own engineers since 1996. To a point, where they are cleaning 7 times better than the small portable units. Also, small truck mount units. As a result, these hi-tech carpet cleaning units have provided a huge advantage over other carpet cleaners. Furthermore, 97% of Auckland Steam ‘n’ Dry surveyed clients stating that they are, ‘Very happy’ with the service. As a result, our demand and growth have been so strong. We are the only people making superior carpet cleaning truck mount units, here in Auckland and New Zealand. Water Damage Restoration (Also, Advanced). Carpet Spot, and Carpet Dyeing. Master Fire and Smoke Restoration. 1987. Starting the carpet and upholstery cleaning business in 1987. Firstly, specializing in cleaning heavily stained carpets and upholstery. Inside newly imported Japanese vehicles. These cars were badly soiled due to years of Japanese air pollution. Using portable steam extraction units. This was a good car upholstery and carpet cleaning as many of the car interiors was black soot like the color before the restorative cleaning. 1991. Graeme started getting serious about the business. Working increasingly long hours, hiring extra staff and servicing the greater Auckland areas. A second loan was made to purchase bigger, and better gear. This was necessary to handle the growing demand. At this stage, either, portable steam extraction, and dry chem cleaning service were the options Auckland Carpet Steam-n-Dry was offering. Extra vans and gear were, therefore, put on the road to handle demand. Graeme started training with the international authority on our industry the IICRC in carpet cleaning and flood restoration, which would continue to get more certification thereafter. Graeme Stephens evolved to become the company’s full-time propitiatory flood restoration, specialized technician. 1995. Auckland Carpet Steam-n-Dry purchased our first Truck mount machine from farmers carpet cleaning Auckland. As a result, clients were very happy with the better quality carpet cleans. All our cleaning solutions were now the best available including a natural citrus based pre-spray. 1996. With the help of a Canadian truck mount engineer. 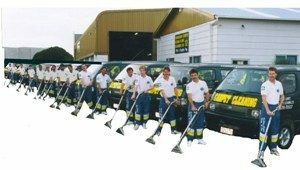 We started improving and making the first superior truck mount carpet cleaners in Auckland NZ. By this time, due to popular demand. The company was employing an additionally, truck mount carpet cleaning van on the road each year too. 1999. As a result of demand Graeme purchased and moved into bigger and better factory premises at 12 Culperry Road, Glendene, Auckland. As a result, huge dry carpet and furniture hangers were made for flood drying. This also made the manufacturing of large truck mount units easier. In addition to the upholstery, carpet cleaning and flood restoration services, Auckland Carpet Steam-n-Dry was also now providing Meth clean, Biohazard clean up, odor control and mold removal services Auckland wide. 2000. Graeme Stephens achieved what was believed to be the 2nd IICRC Master Restoration Technician in New Zealand and first in Auckland. With this high level of training, certification and experience Graeme video recorded detailed upholstery, carpet cleaning, stain removal, pest control, and flood restoration training tapes on each of our specialized services. Also, Graeme spent over a year compiling and writing a, better, 200-page carpet cleaners manual. Mass flooding in Auckland on the 30th June, resulted in: The NZ Herald asking Graeme Stephens for an interview regarding the crises. This appeared in an exclusive article the New Zealand Herald’s front page. 2004. Early in the year, hired a computer software developer. He started developing a complete computerized administration system. Hence giving administration staff streamlining booking processes and detailed reports. We began servicing in the Waikato region on RT contact. 2005. To strategically provide a better service for NZ wide insurance key clients; In fact, a decision was made to expand North Island wide. 2006. In addition, two Large trucks were purchased in preparation for better mobility of mass flooding carpet driers. The customized Auckland Steam ‘n’ Dry software development, which has taken 2 years to develop is now completed. 2009. Our property managers and clients began asking us more about meth P cleaning. So, after extensive research and development from the USA. 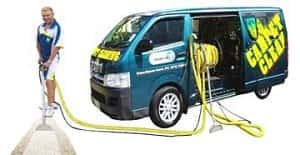 Auckland Carpet Steam-n-Dry started to offer a specialized quality p cleaning decontamination service spearheaded by our specialist Daniel Wallace utilizing our special truck mount gear. At the time there were just the 2 companies providing this specialized service. 2011. Due to demand, Auckland Steam n Dry updated our fleet with new vans again. Also importing 2 container loads of flood carpet drying. we separated the Meth cleaning division to specialize in P cleaning. Initially for property managers and insurance clients. Using, modified truck mount units, capable of 95 Celsius hot steam, at the point of contact. 2017. Graeme Stephens now has 30 years experience in all aspects of our carpet cleaning and restoration services. Indeed, He continues to be the Auckland Steam n Dry flood restoration specialist since 1991. Auckland Steam n Dry has 4 loyal technicians that have been with us for over 20 years (the core carpet cleaners and carpet repairs servicemen).